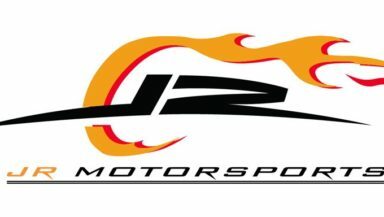 MOORESVILLE, N.C. (Jan. 25, 2019) – With a new season on the horizon, JR Motorsports is off to a fresh start. Today, through a video from team owner Dale Earnhardt Jr., the team announced the restructuring of its car number lineup in the NASCAR Xfinity Series. Most notable is the news that the organization will add the iconic No. 8 Chevrolet to its stable, a number long associated with the Earnhardt family. Ralph Earnhardt, Dale Earnhardt and Dale Earnhardt Jr. each competed with the No. 8 at times in their respective storybook careers. · Rookie Noah Gragson, previously announced as driver of the No. 1 entry, transitions to the No. 9 Chevrolet. JR Motorsports has three titles in the NXS, all with rookie drivers in the No. 9. · Michael Annett, who has carried the No. 5 since he joined JRM, will drive the No. 1 Pilot Flying J Chevrolet. The No. 1 is significant to the Annett family, as sprint-car racing legend Sammy Swindell drove that number to great success in a car owned by Michael’s father, Harrold Annett. Points from the No. 5 team will carry over to the No. 1. · Justin Allgaier and the No. 7 BRANDT Professional Agriculture team remain unchanged by the announcement. Allgaier will look to defend his regular-season championship from 2018, a year in which he scored a career-best five wins. · The No. 9 entry will now race with the familiar and popular No. 8. The team will inherit points from the No. 1 team. Its driver roster currently includes Zane Smith, Jeb Burton, Ryan Truex, Spencer Gallagher and Ryan Preece. · Gallagher will make his JRM debut at Daytona International Speedway (Feb. 16) and serve as the team’s restrictor-plate racer. He’ll also drive the car at Talladega Superspeedway (April 27) and the return event at Daytona (July 5). · Preece will compete in races at Atlanta Motor Speedway (Feb. 23), Auto Club Speedway (March 16), Pocono Raceway (June 1) and Watkins Glen International (Aug. 3). · Smith, a NASCAR Next alum, will make his NXS debut at Las Vegas Motor Speedway on March 2. He will also compete at Bristol Motor Speedway (April 6), both Richmond Raceway events (April 12 and Sept. 20), Dover International Speedway (May 4 and Oct. 5) and Iowa Speedway (June 16 and July 27) events. · Truex will drive for the organization at ISM Raceway (March 9), Las Vegas Motor Speedway (Sept. 14), Charlotte Motor Speedway (Sept. 28) and Kansas Speedway (Oct. 19). · Burton will drive at both Texas Motor Speedway events (March 30 and Nov. 2), Charlotte Motor Speedway (May 25), Chicagoland Speedway (June 29) and Homestead-Miami Speedway (Nov. 16).